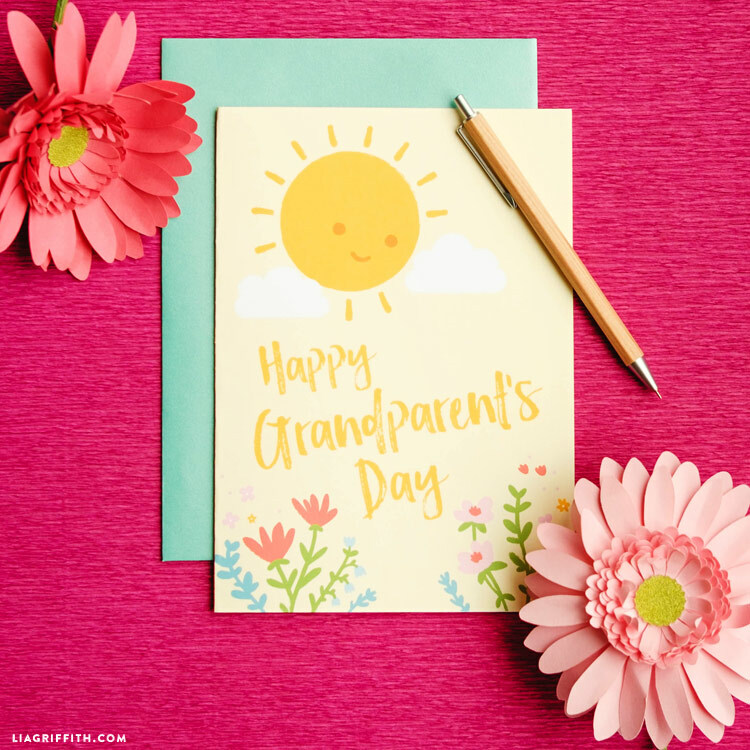 National Grandparents Day 2016 is set for September 11th in the United States, but I encourage our international readers to observe this occasion in any corner of the world! 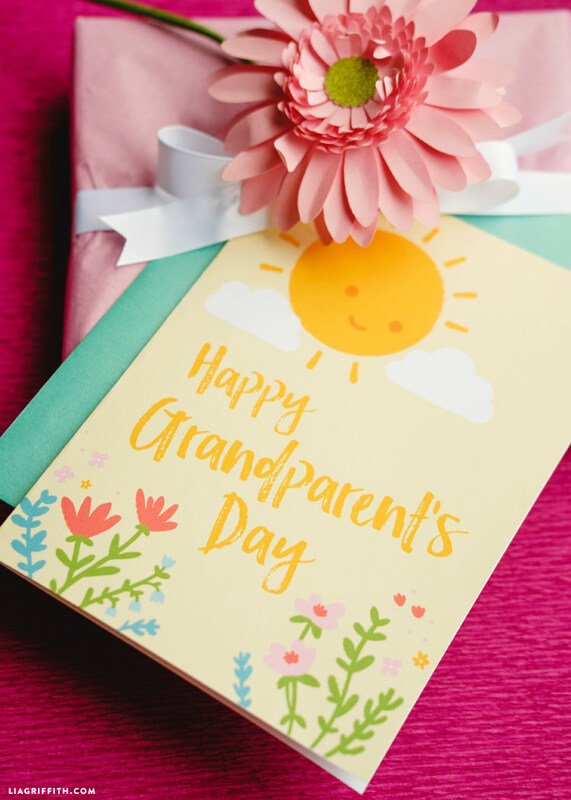 Grandparents are great for so many things and they deserve to be celebrated! My parents were very influential in my daughter’s life when she was growing up, and I am forever grateful for that. 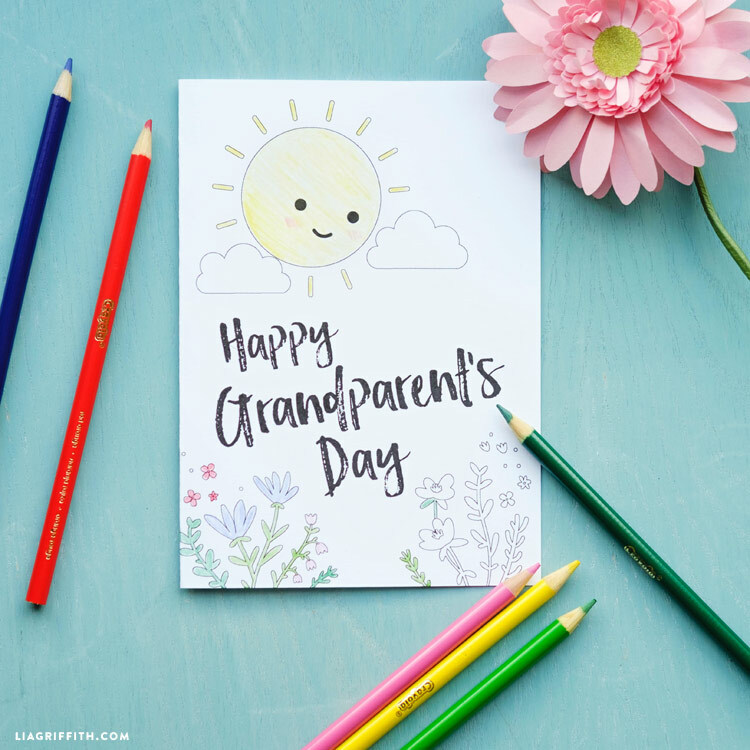 If your kids have grandparents that are an essential part of their support network, here is an adorable printable Grandparents Day card that you can use to honor the day. 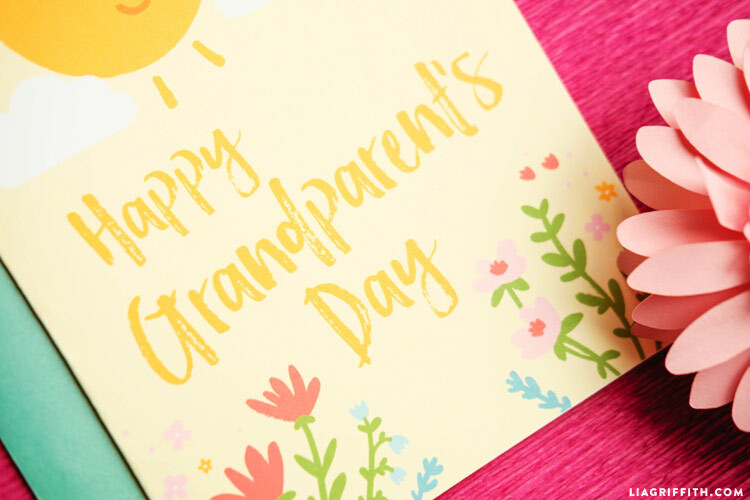 There are two versions of our Grandparents Day card below. The first is a printable version and the second is a color-in version that your kids can customize with their writing utensils or color schemes of choice. Choose the card you prefer and print onto 8.5 x 11 white cardstock. Once you cut the card it becomes a standard A7 size. Head to your local stationery store to find a pretty envelope to pair with your card if you are sending it through the mail! Because the card has a mustard yellow color scheme, I would recommend paring it with a pretty blue or complementary blue envelope. So cute! Also love the flower. Is there a pattern for that?